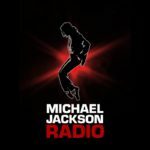 Michael Jackson Radio: a Jacksons, Michael Jackson, Motown artists, Pop radio. Posted in Jacksons, Michael Jackson, Motown artists, Pop. Tagged with Jackson 5, Jacksons, Michael Jackson, Michael Jackson radio.